Hyderabad is the capital city of the newly formed Telangana state. It is one of the fastest growing metros of India where you will find a blend of ancient monuments of historical importance and ultra modern structures of international standards. 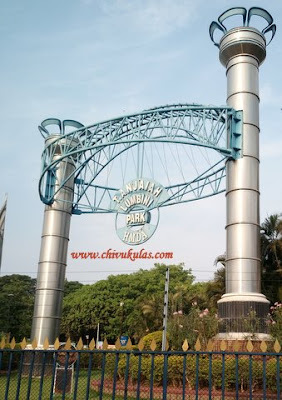 Hyderabad is rich in tourist attractions and a visit to tourist places / attractions depends on one's interests. Charminar is the iconic structure of Hyderabad and is one of the oldest monuments of the city. The structure was built by Md Quli Qutub Shah in the 16th century C.E (Current Era). 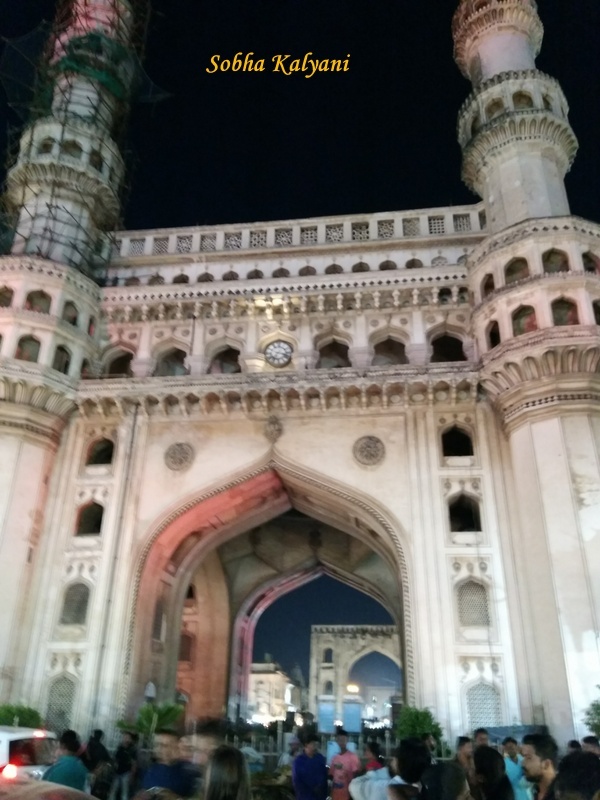 The imposing structure of Charminar has four arches with four minerets on four corners. The square shaped marvelous structure stands an example of the Indo-Islamic architecture. There are around 150 steps to reach the top of Charminar. From here you can have a bird's eye of the sprawling metro city and the dazzling bangle bazaar in front of the monument. Bangle bazaar is also known as Laad bazaar where you find rows of shops that sell the famous Hyderabad Pearls and dazzling colorful stone studded lac bangles. Besides these, there are shops that sell typical ethnic items for home decor. This is a must-visit place for shopping sprees. The grandeur of the monument is doubled when it is colorfully illuminated in the evening. Entrance fee is Rs.5/- per head. Visiting hours are between 9 a.m to 5:30 p.m. The Clock, European and Indian paintings and many more. 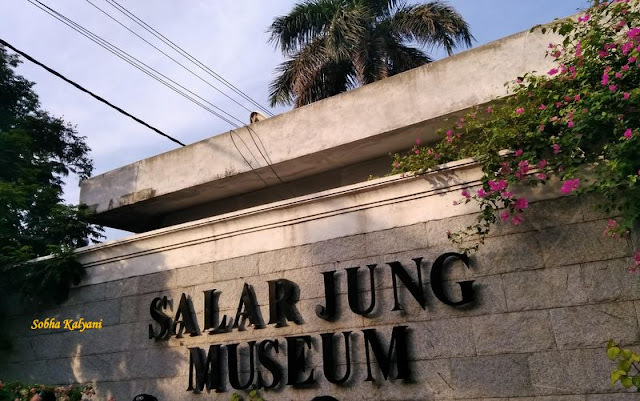 A visit to this museum is a real memorable one. Golconda Fort is one of the World Heritage Sites that attracts tourists. The main attraction of the place is the light and sound show which is displayed in the evenings. As the timings of the show keep changing from season to season, you should note the timings of the show before you make a visit to this fort. The light and sound show is the highlight of the place. Birla complex has three main attractions within walkable distances - Birla temple, Birla Science Museum and Birla Planetarium. The complex is located on a hillock named Naubat Pahaad. The main attraction of the complex is 'The Birla Temple' of Lord Venkateswara. The temple is fully made of white marble. From here you can have an excellent view of the city and the Hussain Sagar lake. The temple is prominently seen from the main areas of the city. 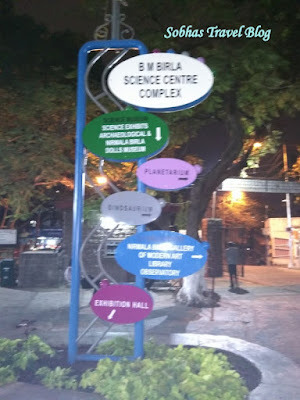 Birla Science Museum and Birla Planetarium too attracts tourists. Birla Science Museum is the right place for the children / students to learn various scientific activities with fun. The temple is a near replica of Puri Jagannath temple. Visitors get attracted by the temple architecture which depicts the rich skills of the artisans.The temple is constructed by the Kalinga Cultural Trust of Hyderabad. It is worth a visit. The park is one of the main attractions of the city which is famous for laser show displayed at different timings in the evening. And a joyous boat ride in mechanized motor boats, particularly in summer evenings, that take the visitors near the Buddha statue. Visit Shilparamam for a typical Indian ethnic ambiance. There are shops inside where you can purchase beautiful handicrafts and handloom clothes of Andhra Pradesh / Telangana and also the hand work from different parts of the country. It is located near Hi-tech city. Various classical cultural events are hosted from time to time at Shilpa Kala Vedika. Foodies can enjoy the real taste of Andhra Pradesh and Telangana at the restaurant here. 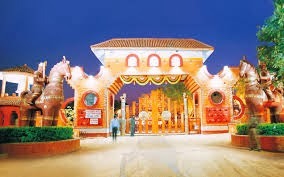 The world famous Ramoji Film City needs no description. Once you step inside the film city, you are lost in a different film world. It has close resemblance with the Hollywood of Los Angeles in the U.S. 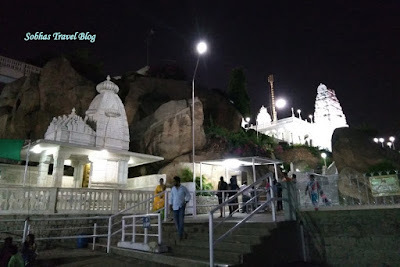 This place is one of the most visited places though it is far away from the main city of Hyderabad. There are frequent public transit / RTC buses plying to this place. Inside the film city there are buses that carry you from one place to the other. 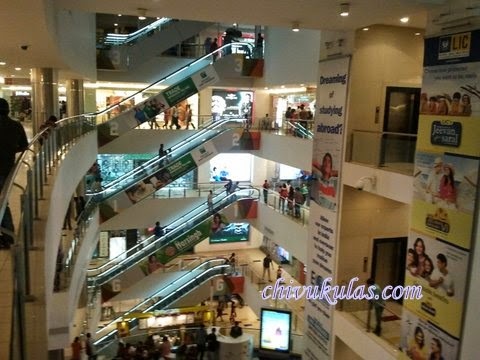 This is a wonderful shopping mall with international standard and international restaurants like KFC and Hard Rock. This is located in the heart of the city in Road No.1 Banjara Hills. In the recent times, this has become one of the most popular hangout places in the city. Ratnalayam Balaji temple at Shamirpet is a beautiful place for weekend family visits / festival days. The temple is located in a serene atmosphere with much of greenery around and a small play area for kids. Hyderabad is the capital city of Telangana and is well connected to all national cities and international cities via railways and airways. Rajiv Gandhi International Airport at Shamshabad is one of the best international airports in the world. Hyderabad is the state capital and is one of the fast developing metros of the country. There are good number of star hotels like the Taj Krishna, Taj Deccan, Novotel and many more. Of course there is no dearth for budget hotels in every corner of the city.